For Two Sisters, A Family Bond Tightens In Bullet's Wake Kai Leigh Harriott was paralyzed by a stray bullet when she was 3. Her sister, Aja David, was baby-sitting her at the time. The incident was tragic, but it also strengthened their connection. Kai Leigh Harriott (center) with her sister Aja David (left) and their mother, Tonya David. Aja just graduated from college and Kai is headed to high school. The man who shot Kai is serving a 13- to 15-year sentence. 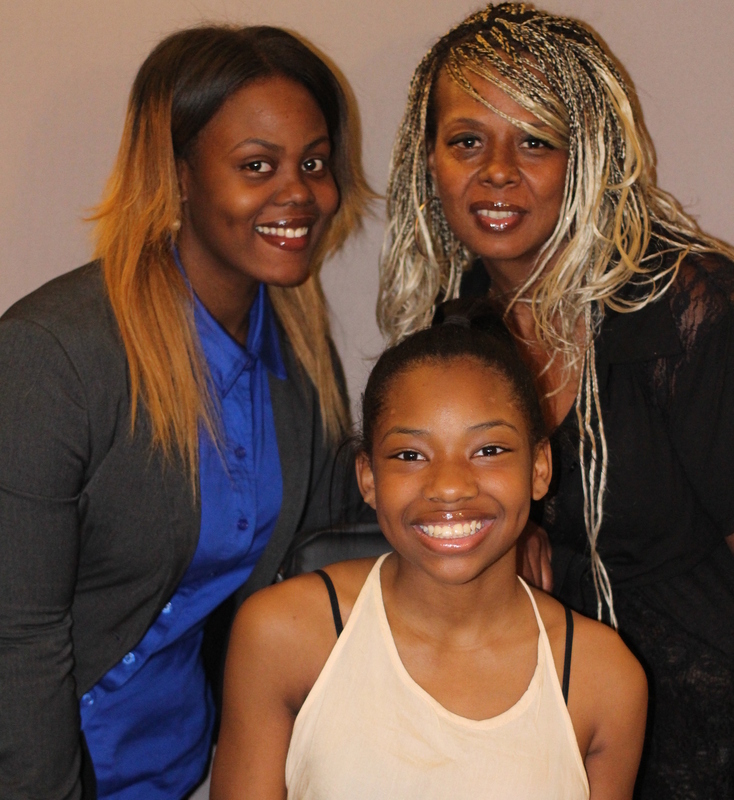 Kai Leigh Harriott, 14, is paralyzed from the chest down, the result of a stray bullet that hit her when she was 3. She was sitting outside on her porch in Boston with her older sister, Aja David, who was baby-sitting her at the time. Listen: Here, Kai, Aja and their mother, Tonya David, remember what was said at the shooter's court hearing. It was around the Fourth of July, when the sound of fireworks is common. "All of a sudden that was the sound, although it was different. 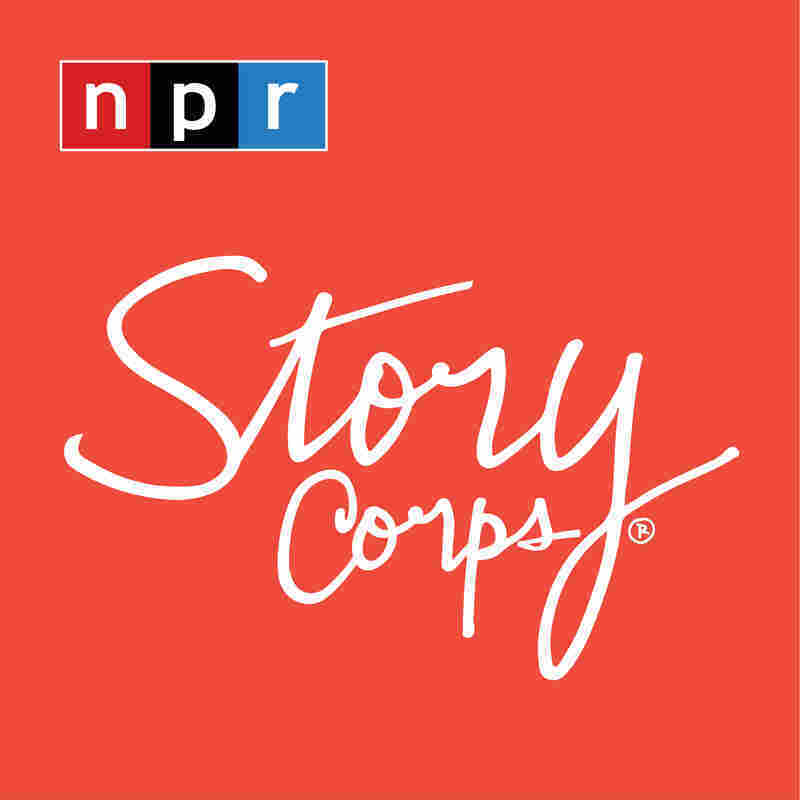 It was a gunshot," says Aja, now 25, on a visit to StoryCorps. "Someone was shooting. Not at us, but in our direction. I just was thinking about my little sister." She grabbed Kai and laid her down inside. When she turned Kai on her side, she saw a circle of blood on her jacket. "[Kai] just said, 'I want Mommy,' and I said, 'You know I love you, right?' " Aja recalls. "I think at 14 it was drilled in me, like, that's your family. You don't let anything happen to your sisters." Kai doesn't remember much from that night, but she knew her sister felt the burden of guilt. "A few years later, I found a card that you wrote me when I was in the hospital, and it was a card with you blaming yourself, and how you were sorry that you didn't protect me," Kai says. "For you to blame yourself — there's no need for that. Sometimes I blame myself like, 'You're a 3-year-old. You should have been asleep. Like, what are you doing up?' But you have to realize that it wasn't your fault." Aja says she doesn't blame herself anymore. "I was only 14, and you're now the age that I was when that happened to our family," Aja says to Kai. "Since that day we've always had a tight bond, and I feel as if I'm your guardian angel, and you're mine," Kai says.